Calculating Setbacks of Parcel using ArcGIS for Desktop? I am looking for any guidance on how to calculate setbacks for a few parcels. I have a shapefile of a few land parcel. They have columns of Side_Setback, Front_Setback, and Rear_Setback. The image below explains setbacks well. I am looking to take the original parcel layer and have a model builder and/or python script cut those polygons into a polygon of that parcels buildable area and have the same attributes of the original polygon. 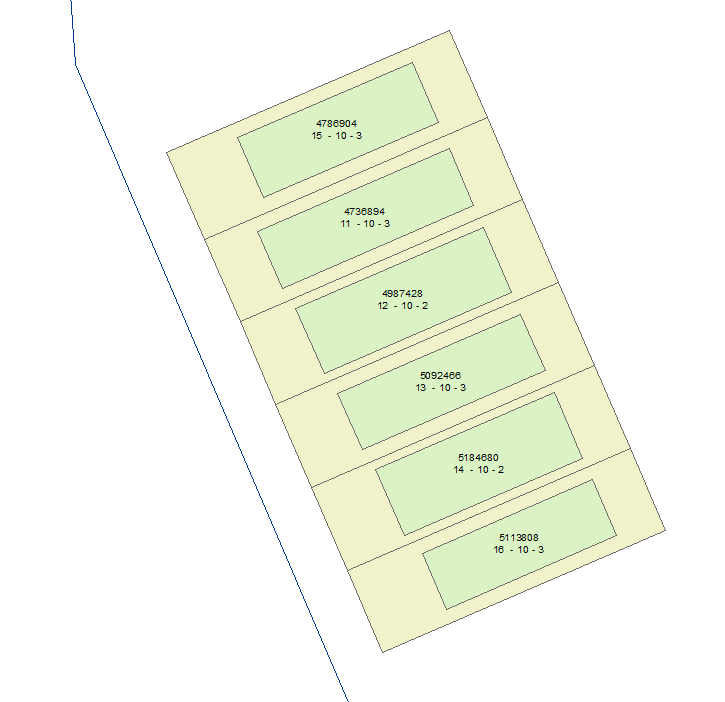 Ok, if the parcels are all rectangles with one road frontage you could use a python script at a very low level to generate the setback lines and create a new polygon. To do this you need to use geometry objects which give you the ability to manipulate parts of a feature and do various spatial operations between the parts. Some irregular shaped parcels show the limits of this method to identify which boundaries are front and rear. Also the short neck does not cleanly draw a line extending across the right-of-way. Getting a bit tricky to handle all these edge cases with a set of coherent rules. It just goes to show how planners make impractical zoning rules! 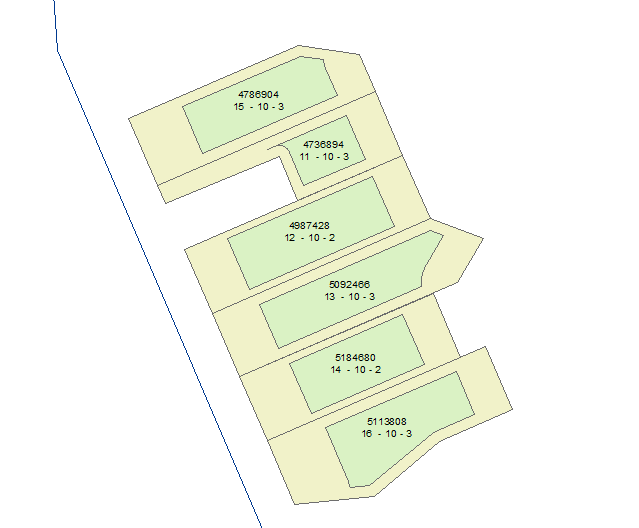 If each parcel has different rules, depending on the zoning and landuse then I suppose you have to do it per parcel. If you have complex boundaries you will need to identify the boundary line types. This used to be easy with coverages because there was a PAL polygon-arc-list that kept a relation between polygons and boundaries. The only way with arcgis is to use two layers with some topology rules to manage the duplication of polylines and polygons to warn when things are not in sync. If side boundaries have different offsets you will need two coincident polylines and a tag to identify the correct parcel. Yuck. Not the answer you're looking for? Browse other questions tagged arcgis-desktop modelbuilder arcgis-10.3 python-script-tool planning or ask your own question. Cycle through / add name of clipping feature to output of clips in Model Builder? Selecting largest feature within each feature using ArcGIS Desktop?